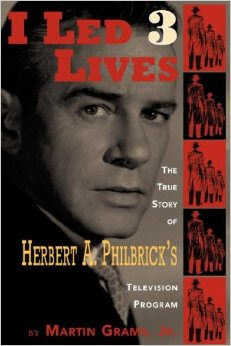 Book Review: I Led 3 Lives, by Herbert A. Philbrick. 301 pages. Imagine being a newlywed and new father who is active in your community in the late 30’s. You join a group that wants ‘peace on Earth’ as you see some schmuck in Germany acting up. There is talk of America getting involved over there, and like most young men - conscript age men - you don’t like it one bit. This is how Herbert “Herb” Philbrick, author of I Led 3 Lives, became a star witness against eleven Communist Party USA leaders a decade later. He stayed at the request of the FBI, and his value to the country increased with every promotion outside, then within, the Communist Party ranks in New England. For years Herb was an advertising executive, an active Communist, and an FBI counterspy. You will experience, and appreciate, this tense juggling act as he moves through the Communist organizations. Some were Communist fronts with no visible ties to the Party, and others were active Communist Party organs bent on the violent overthrow of the United States. You will learn the Party’s priorities in regards to recruiting, internal security, and agitation. You will see how they embed themselves into campaigns including a unsuspecting presidential candidate’s organization. They even wrote his speeches. My biggest take-away from I Led 3 Lives was the different priorities and behaviors at each level. Philbrick explains how some allow zero flexibility, but at higher levels some flexibility to Party goals were allowed. Amazingly, the higher he went the less connection he was allowed with the Party. They even confiscate Party membership cards when you move into the Professional Cell level as he did. The most entertaining part of Philbrick’s experience was the week after Barbarosa - the German offensive against the Soviet Union. He lists the changes among his fellow Communists, and within the Communist publications. Hitler’s betrayal turned the Communist agenda on its head, leading the Communists in America to adopt a pro-US, pro-war agenda. Absolutely hilarious. Oddly, he makes no mention of the atomic bombs that ended World War II and clearly demonstrated US military superiority over the Soviets. I would assume it had a demoralizing effect on the movement. Since Philbrick was detailed about all other events, this apparently was not an issue for the Communists on American soil and their mission to infiltrate unions, groups and the government in preparation for their revolution. Philbrick died in 1993. If here were still alive, I’d seek him out with this query. 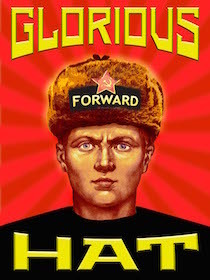 I Led 3 Lives is a well-written story that I recommend for all anti-Communists who want to learn internal Party tactics that continue today, or who just want to read a good nail-biter. I would suggest Operation Solo as a compliment to this book, as it is a story that covers the same era but from the FBI’s perspective. My Book Notes with selected quotes. I've added this book to the Ushanka Library book list at the left. A comrade has warned against the Kindle version of this book. "Horrible editing." I read the out-of-print hardback edition.